Although liability insurance is required by Idaho law, a shockingly high percentage of motorists do not carry any insurance. If you are injured in an accident with a driver who has no insurance or has insurance that does not fully cover the losses you suffer in an automobile accident, you will probably need to file a UM/UIM claim. What is uninsured (UM) coverage? If you are injured by a negligent driver who does not carry liability insurance, your UM or underinsured motorist coverage policy provides coverage to allow you to recover your damages. Often, even though your insurance company has an obligation to exercise good faith and to treat you fairly, they may resist or make it difficult for you to obtain benefits that you are entitled to receive. In such case, you should contact Charles Bean & Associates for a free consultation to see if we are able to help you recover your uninsured motorist benefits. What is underinsured (UIM) coverage? If you are injured by a negligent driver, you may have medical expenses and economic damages which far exceed the $25,000 of liability coverage required by Idaho law. If that’s the case, if you have adequate underinsured motorist coverage, you can make a claim for money damages such as lost wages and non-economic damages like pain, suffering and inconvenience. You need UM/UIM coverage even if you have health insurance. It’s important to have uninsured and underinsured motorist coverage because health insurance will not pay for lost wages or pain and suffering. Additionally, even though you have health insurance at this time, it doesn’t mean that you will always have it. It’s important to know that even though you have good health insurance, you should still get UM/UIM coverage because health insurance only pays for medical treatment. If you are seriously injured in a car accident, you have a right to more than just medical treatment. 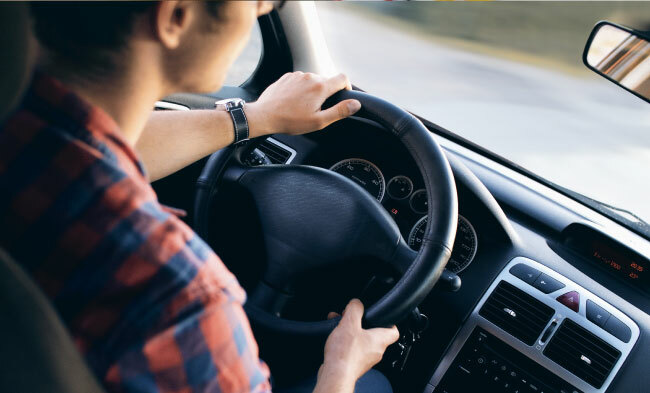 If the at-fault driver doesn’t have insurance or enough insurance to properly pay for your damages, uninsured motorist coverage pays for lost wages and pain and suffering. Charles Bean & Associates, PLLC, recommend buying as much uninsured and underinsured motorist coverage as you can afford to protect yourself in the event you are in an accident with an uninsured or underinsured motorist. A small difference in premiums could make a major difference if you are involved in a crash. UM/UIM coverage is extremely important because all too often the other driver has no liability insurance or has inadequate insurance. Several years ago, Charles Bean & Associates, PLLC, represented a woman who was an incomplete paraplegic from a prior accident and was later involved in a head on collision with another driver who only carried $25,000 of coverage. Our client had a severe injury to her shoulder which required a complicated, expensive surgery by one of the best surgeons in the northwest. Fortunately, our client carried substantial underinsured motorist coverage and after suit was filed, settlement was achieved for our client for nearly $450,000 of underinsured motorist benefits. Had she not carried underinsured motorist coverage, her damages would have been limited to the $25,000 carried by the at-fault driver. If you were injured by a driver who did not carry liability insurance or their insurance was insufficient to cover your damages, you should call Charles Bean & Associates, PLLC, for a free consultation to see if we are able to help you recover for your injuries. …From that day Mr. Bean took charge of our case and we have since benefited by a settlement from our automobile insurance company far in excess of that which we had first imagined. Accordingly, we highly recommend Charles F. Bean to anyone who becomes involved in an auto accident and desires the services of a reliable attorney to assist in making a decision as to the actions to initiate.